When did you last have a big day? What happened? Why was it special? In these books you’ll explore two experiences that definitely count as big days. One book talks about what it’s like to meet a new baby brother or sister. 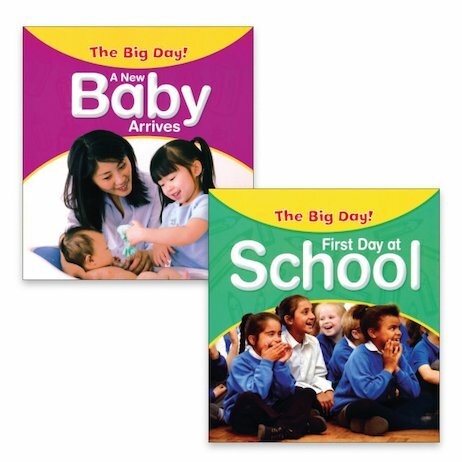 The other book takes you through the first day at school. There are lots of feelings to deal with: excitement and maybe some worries. There are questions, too. What will it be like? What will happen? How should you behave? Full of colourful photos, information and handy tips and ideas, these books help you know what to expect if you have a similar big day.